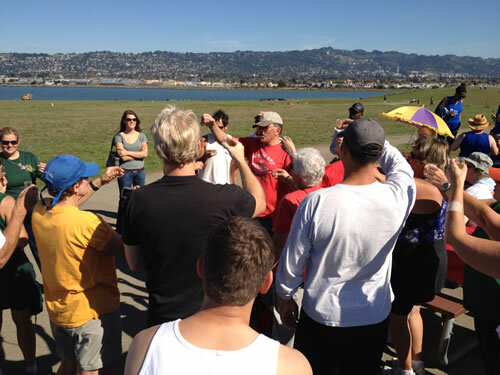 The Vikings host Sprint the Pier, a Bay Area Whaleboat Rowing Association (BAWRA) race at the Berkeley Marina. Sprint the Pier includes whaleboat races, Viking games, and a barbeque. Five boats on the zig zag course. 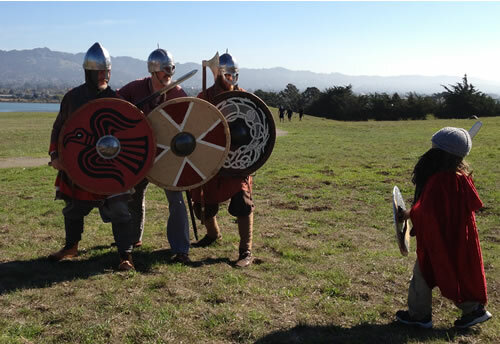 A young viking attacks the Vikings of Bjornstad who demonstrate how vikings fought. Rowers compete in the caber toss. The vikings have two toasts because you cannot stand on just one leg. © 2013 The North Bay Vikings. All rights reserved.